The latest property pricing index from Rightmove shows that the Midlands is leading the way with prices rising more than three times faster than the national average. This rise in asking prices is fuelled by record home hunting activity in the country. Asking prices increased overall by 0.8% month-on-month in February and by 1.5% year-on-year to reach an average of £300,001, according to Rightmove’s statistics. Every region has seen a rise in asking prices except for a slight fall in the South West of £131. However, prices in the South West are still higher than they were this time last year. Scotland has seen a monthly increase in prices of 5.1%, and year-on-year growth is topped by the West Midlands (4.9%) and the East Midlands (6.3%). London is one of the only areas that shows a decrease on annual growth, which is down by 1%. Wales on the other hand is enjoying a strong annual growth at 4%. Another interesting aspect of the index report is that it shows January 2018 as the busiest month in Rightmove’s history. Visits to the site of people looking for a new home reached more than 141 million. In addition, the number of houses coming onto the property market was up 2% when compared to January 2017. These days, it’s not uncommon to see buoyant asking prices from new sellers at the start of a new year. However, the figures for the first complete month of 2018 do show that there is real optimism in the market when compared to January 2017. While economic and political uncertainty is undoubtedly a factor, sellers remain in control of their asking prices. In general, there’s no evidence that prices are over ambitious or too high. It’s worth remembering that January’s rise of 0.8%, although up year-on-year is still below the 1.6% average shown at this time of year over the previous decade. It’s important that sellers don’t price themselves out of the market on a wave of over-optimistic pricing. Over-pricing could stretch buyer affordability too far, and lead to houses not selling as they should. Local markets differ greatly in terms of supply and demand, so anyone looking to sell their property needs to fully understand their area. The data for January 2018 is particularly encouraging as it shows a real recovery in transactions. In Q4 2017 completions were 5.5% lower than the previous year, so an increase to this level is good news. The fastest region for sales was Livingston in Scotland, where it has taken an average of just 17 days to sell new listings. Much of the country has momentum, with high levels of demand for property at the right price. Prices must remain realistic, however, to further improve the market in the current economic climate. 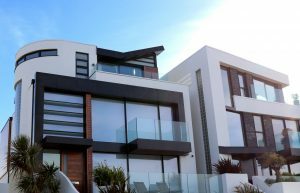 Greater market buoyancy is likely to be maintained throughout the rest of the year, as demand continues to increase and new properties come onto the market. This entry was posted in House Prices and tagged 2018, Fortitudo Property, Property Prices by Richard Carr. Bookmark the permalink.